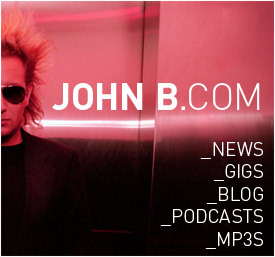 Home »Artists»John B»New Episodes of the John B Podcast! 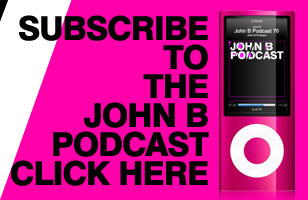 New Episodes of the John B Podcast! You probably already check out our other sites www.john-b.com and www.johnbpodcast.com which are great places to get news about John B and his podcast, but we figured its worth posting the odd update about them here too! So just to let you know we published 2 more episodes this week, now up to the 83rd episode!! John B recorded live as part of his USA tour in October 2010, at Camoflage, North America’s longest running weekly D&B Party, at The Sullivan Room in New York City. John played a special ‘influences’ set right by the beach at the Sun & Bass Festival in Sardinia back in September, and we got the recording! If possible please subscribe to the podcast in iTunes here – that way your iTunes will automatically download each new episode as soon as they are published. If you hate iTunes or just don’t have access to the store in your country etc – you can download the podcast directly if you click here. ← Previous Previous post: High Rankin “State Pump” b/w “Feel For You” – OUT NOW! Next → Next post: Gmorozov “Internet=Hate EP” – OUT NOW!